Horror films aren’t new. They are as old as the media itself. 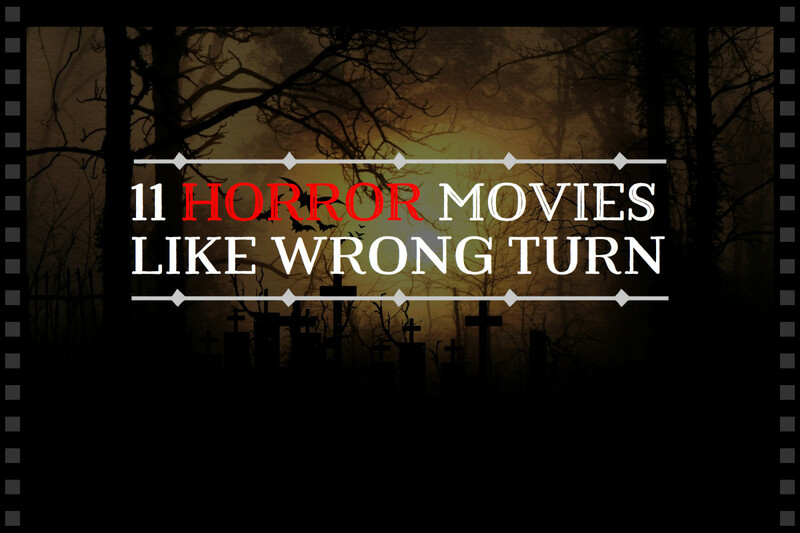 Through the years, countless of horror films have been made; some successful, others not so much. From early silents like Nosferatu to recent outings like The Conjuring. 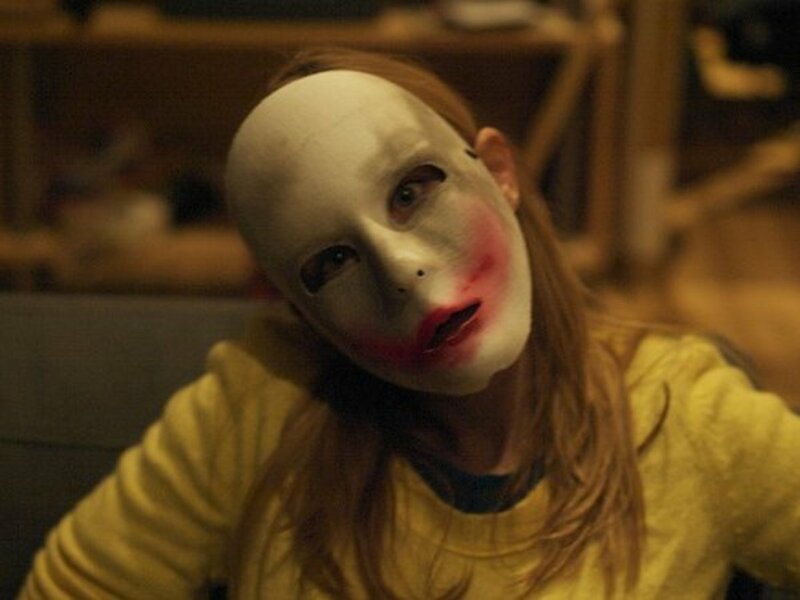 But one common trait of a horror film is how they play on our fears to elicit a response. Whether it’s fear of death, pain, disaster, or anything unknown to us, horror films put it upfront to scare us. Through all those years, the 1970’s come forward as one of the best decades for the genre. Films like Halloween, The Texas Chain Saw Massacre, Dawn of the Dead, The Omen, even Jaws if you feel like including it in this genre, were released during this decade. Last weekend, I revisited two of the most iconic horror films ever, both of which happen to be among my favorites: The Exorcist and Alien. 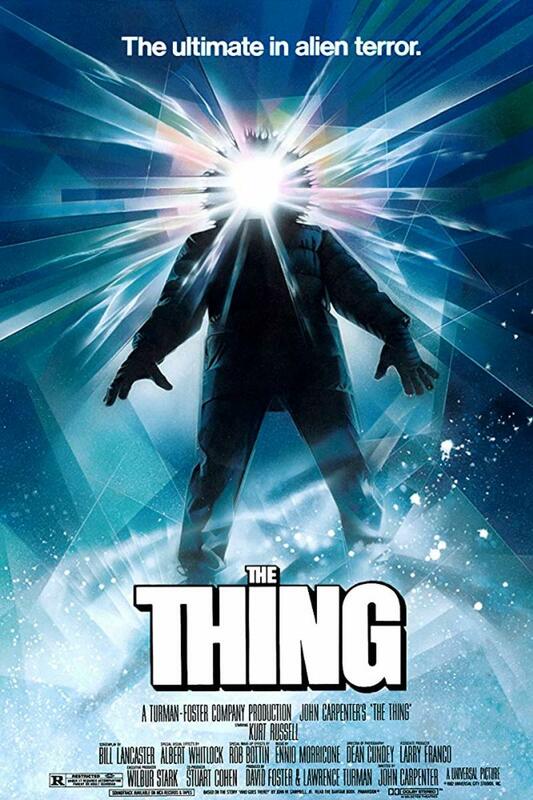 Both released during the 70’s (The Exorcist in 1973 and Alien in 1979), they deal with two seemingly opposing fears: fear of the spiritually unknown and fear of the scientifically unknown. 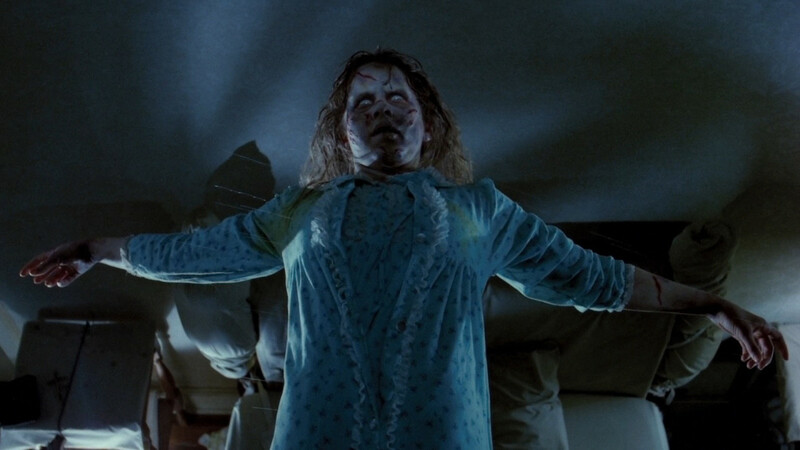 On The Exorcist, 12-year-old Regan MacNeil (Linda Blair) starts presenting mysterious symptoms in her behavior, and subsequently in her physique. After countless medical tests bring no definitive answer, her desperate mother, actress Chris (Ellen Burstyn), has to face the possibility of her daughter being victim of a demonic possession. 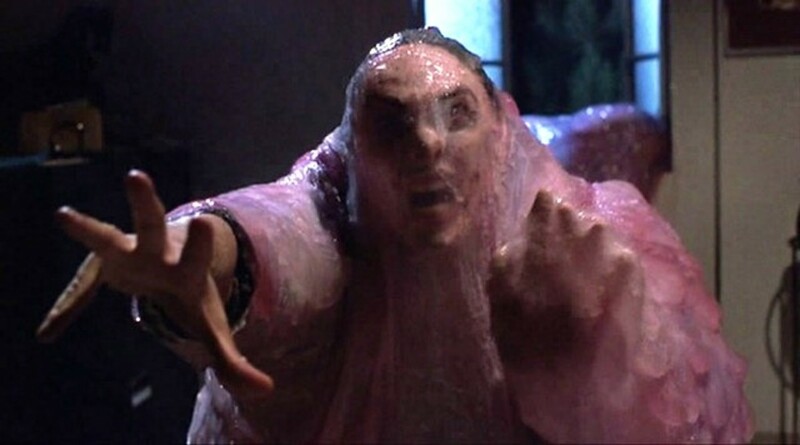 In an attempt to save her, she resorts to Father Damien Karras (Jason Miller) to perform an exorcism. Chris is not a particularly religious person, so facing this possibility means facing the unknown. And it isn’t after all medical possibilities have been wasted that she considers the possibility, more out of desperation than perhaps of rational thought. Father Karras isn’t much better. The process is not more known to him than it is to Chris. "You probably know as much about possession than most priests", he tells Chris. But dealing with his own insecurities about faith and religion after the decease of his mother, Damien feels he has to face this to help Chris and maybe help himself in the process. So venturing in this ritual is venturing into the unknown. Be it because of the ritual itself, or because of the things it might uncover within his own mind and soul. 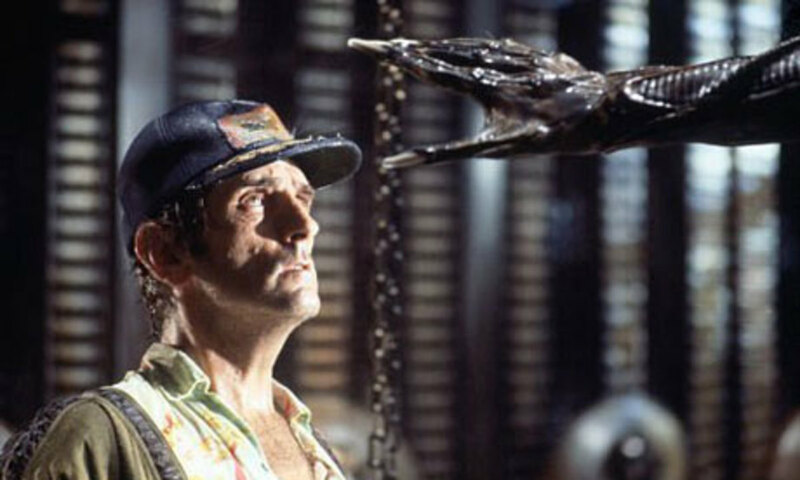 On Alien, the crew of the mining spaceship Nostromo are forced to deviate from their course on the road home because of an unknown transmission. After examining its source on a mysterious planet, one of them ends up with an unknown alien creature attached to his face. 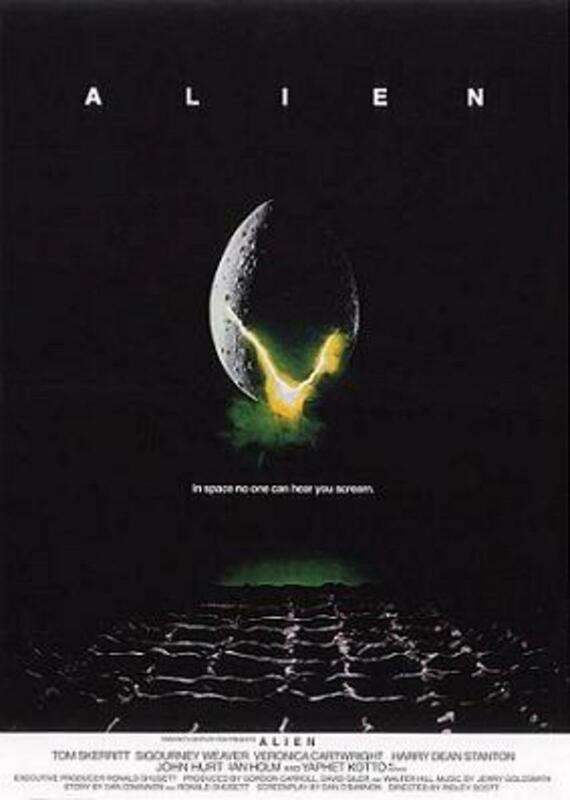 After bringing him in despite the reservations of warrant officer Ripley (Sigourney Weaver), the crew has to face the threat of an unknown creature as well as the unknown motives of those on the ship. With the exception of Ash (Ian Holm), none of the crew is a scientist. They are portrayed as common people; hard-working, blue-collar-like workers that just want to get paid and go home. So the notion of examining an unknown transmission, let alone dealing with an alien creature seems to be far from their expertise. And when things get rough aboard the ship, not even Captain Dallas (Tom Skerritt), Ash, or the sentient computer system aboard the ship (dubbed "Mother") can help. This takes Ripley and the rest of the crew into unknown territory as they face something they know nothing about. From a distance, both films might seem different, aside of their release date. 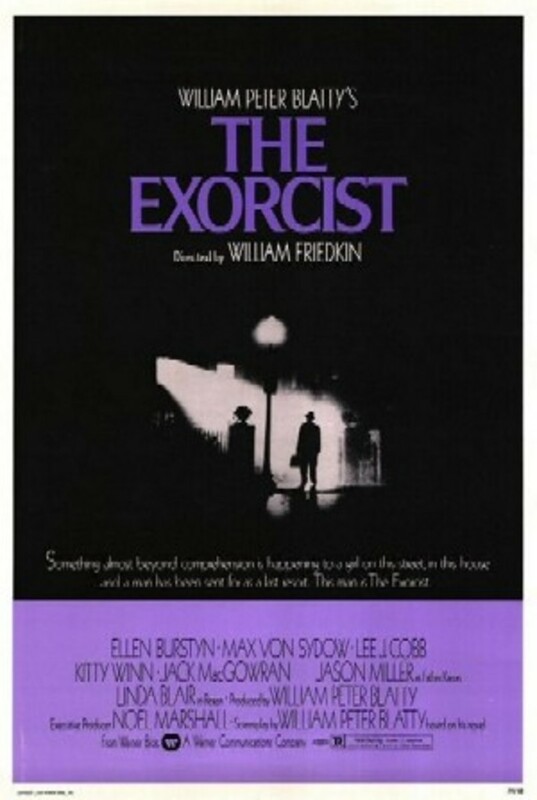 The fears that permeate The Exorcist are of the spiritual, fear of something as old as religion and the devil himself. Something that goes back to the beginning of times, as far as the Bible is concerned. Meanwhile, Alien deals with fear of what we still don’t know. Set at an undisclosed time in space, Alien presents us with fears of things that might come to us in the future. Things that humanity is still trying to grasp, as far as science is concerned. But the similarities are more than one might think. Aside of being released a few years apart from each other, both films present an evil force (from the past or the future) taking over the bodies of its victims. On The Exorcist, a demon itself finds its way inside an unsuspecting child whereas on Alien, a creature ends up inside an unsuspecting astronaut. In both cases, what’s inside each of them wreaks havoc. Not only while inside, but upon being “released”. The uncertainty of how to deal with the unknown threat on the other characters is another similarity. On The Exorcist, Chris perceives the issue as a medical one, and explores every possibility to heal her daughter. It’s only after every medical possibility is wasted that she faces the unknown option of an exorcism, realizing that what she is facing is both unknown to her and far more dangerous than she thought. And even the Father she recruits for it doesn’t fully understand what or how to do it, perhaps not realizing what they’re facing. 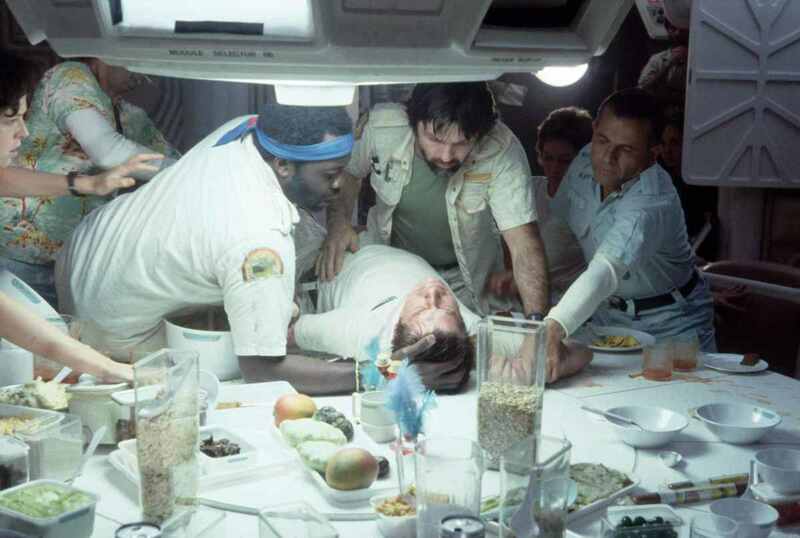 On Alien, Ripley and company initially perceive the creature as something small and pesky. It’s only after the death of two of their crew that they realize that what they’re facing is far more dangerous. And even the ones on board the ship that might have a better understanding of the situation can’t help them figure out what to do. In both cases, the fear of those involved – Chris, Karras, Ripley – is evident. But still, they choose to face their fears whether it’s for the survival of a loved one, or themselves. Aside of the similarities in theme, both films share similar traits in the way the story unfolds. Both films take their time to develop their plot instead of rushing into things. Their pace might be considered slow by some, but it’s assured and effective. On The Exorcist, it isn’t until the 40-50 minute mark that the demon begins to manifest itself in more visible ways, whereas on Alien, it isn’t until the 30-40 minute that the Alien begins to prey on the crew. 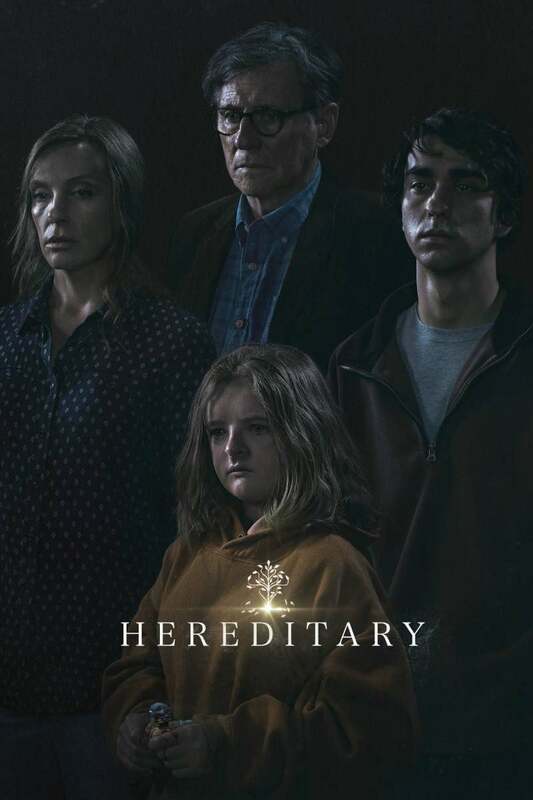 By modern standards, this is remarkable, considering that most recent horror films feel the need to have a shocking opening to grasp the audience, but sometimes don’t know how to finish. I've lost count of how many modern horror films I've seen with strong or at least interesting first acts that end up in the crapper by its last act, but Insidious and Mama come to mind. That's not the case here. Both films start on a "slow", assured pace and know how to end strong. Both films present fearful yet brave leads, facing horrible situations, unknown to them. Looking at the fears they both play on – science and religion – it's like looking at opposite ends of a spectrum, and yet they unfold in similar ways. The alien could be seen as some sort of demon, while the demon is an alien creature in Regan's body. But most importantly, both films effectively convey the fear, horror, and insecurity that the leads probably felt in those situations. Regardless of how old religion and Christianity is, the concept of demonic possessions is still shunned and brushed aside, even by religious people themselves. Even if you don't believe in it, it's a real fear that might be inside a huge chunk of the world's population. The fear that a creature as evil as the devil himself might possess your body or that of a loved one has to be beyond any other fear. On the other hand, the possibility of extraterrestrial life has been one of humanity's biggest questions for centuries. And even to this day, despite countless space travels and investigations, we have barely scratched the Moon's surface. So that possibility is still pretty much unexplored. The possibility that that life might be hostile is a true fear in lots of people, and has been explored in countless films. Fear of something so uncertain to us, so impossible to figure out. The Exorcist and Alien are perfect examples of how a horror films has to be. And even 30-40 years after their release, they still remain icons in their genre. There hasn't been a single film after that has dealt with those themes in such a way. Not even the countless sequels or remakes of each franchise. What the horror film genre has for us in the future is unknown. 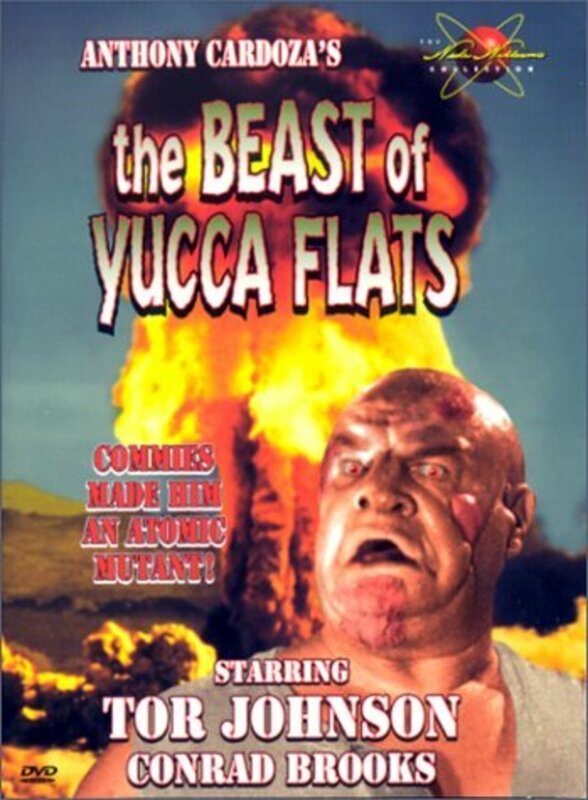 But as of now, I'm comfortable looking at the films of the past for a good scare. 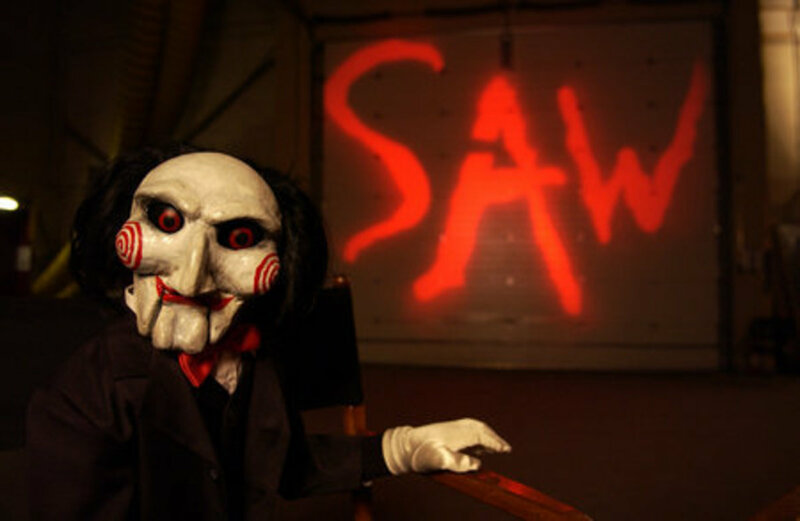 Which film did you find scarier? I don't think I had ever thought about comparing them either. But after seeing them almost back to back in October, I guess I put a bit of thought to it. Thanks for the comment! @Thief12-Great and interesting Hub. Voted up. I never really thought about comparing those two films and the similarity of the plots. I've seen both of them, and my biggest memory is the pea-soup vomit in "The Exorcist." Thanks for giving a new perspective on the films. The Exorcist didn't do much for me, but Alien is full of fantastic suspenseful scenes. Voted up! I love Alien. I only saw the Exorcist last year as I had been kind of scared to all of these years. Great flicks. Awesome hub!